It's HORROR-ween with Hor-RIFF-ic Productions! Two whole shorts drenched with sarcasm more sticky than any caramel apple. The subject: Halloween Safety! 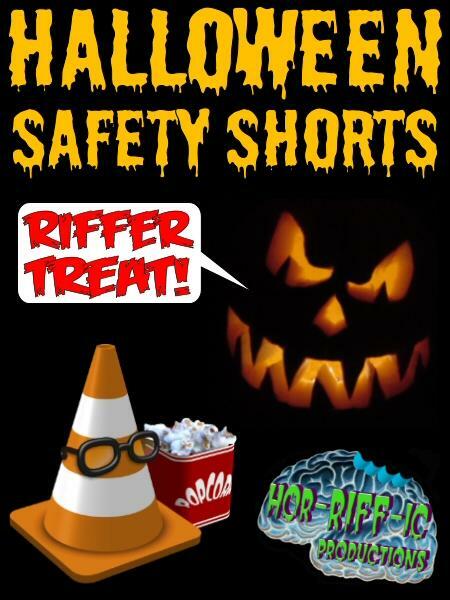 Track includes BOTH 1977 and 1985 Centron Safety Shorts! Don't be the only one without a razor filled candy bar this All Hallows Eve! Be sure to rate and review this deadly duo of shorts from your Slasher pals.